This tribe headed to the newly upgraded Rotary Park in Riverwood to test out the new equipment. 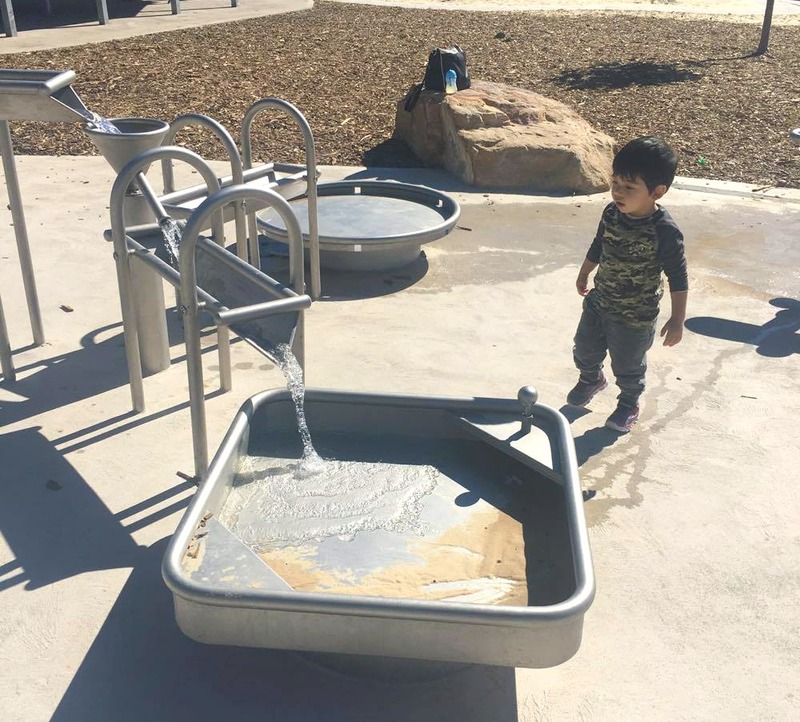 Rotary Park has had an $850,000 refurb so if it’s been a while between visits – read on to find out what’s new and why this playground is worth a trip with the tribe. When you become a parent, you become a park and playgroup critic. Does it have toilets? Baby change tables? Plus, enough to entertain kids of various ages, these are all questions that go through your mind as you chase after your kid while he’s trying to steal another family’s lunch. When our tribe heard that Rotary Park got an upgrade, we had to check it out. We went during a week day and were surprised at how much parking there was! We were then welcomed by beautiful facilities for both older kids, toddlers and even babies. It really isn’t what you’d expect sitting right beside the M5 motorway. 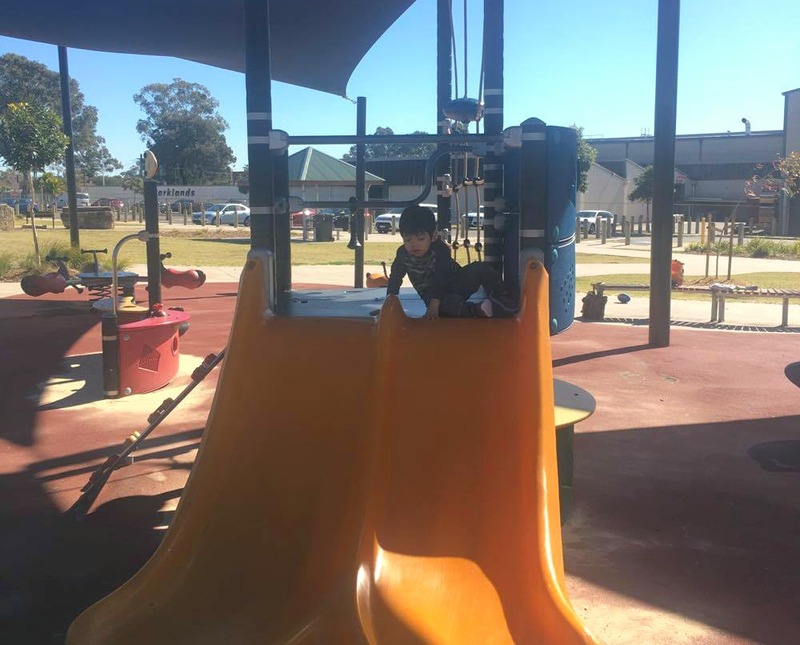 The park is split into two, closest to the parking area is the toddler play area where you can find swings, a double ended slippery dip, see-saws and other colourful age-appropriate equipment. 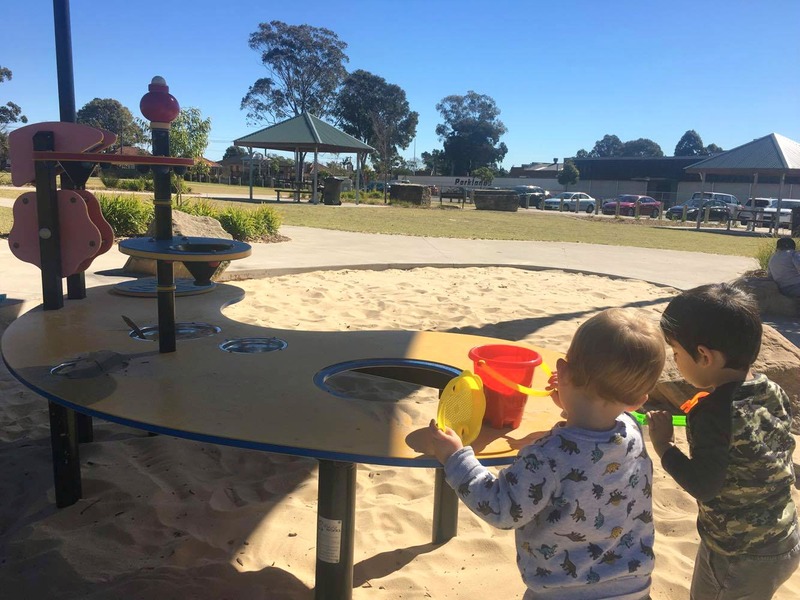 There’s two sandpits, one with a cute sand play table, perfect for littlies who love digging and exploring sensory play, right beside the toddler area. Surrounding the play areas are riding tracks for kids of all ages to ride bikes, trikes or scooters right around the playground. It’s across the bike path that you find the older kid section of the park filled with plenty to do! The perfect park for budding climbers, there’s a large spiders web, a climbing plank and net plus plenty of agility play too! That doesn’t even go into the flying fox which is huge and very popular, even during the week there were plenty of older kids swinging across! 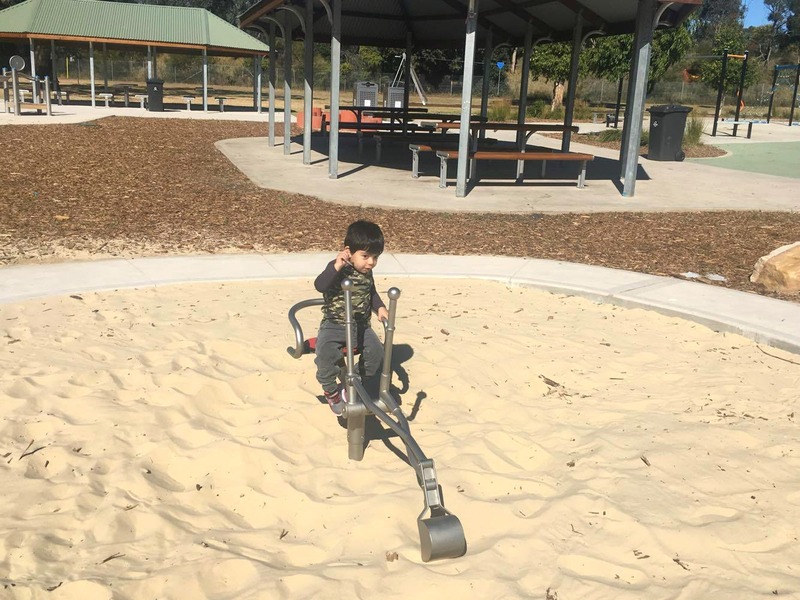 The other sandpit has two diggers which any kid would love, how do I know? Because I had to have a go myself! Another popular section was the water play, it will no doubt be a hot spot in summer. It features two water pumps and troughs that can be moved from side to side. Just remember to bring spare clothes and shoes because I didn’t and my little one had to come home a little wet. We absolutely loved Rotary Park and it’s going to be somewhere we continue to visit. It hits all the kids check points plus this mums’ – there’s toilets, change tables, shelter, picnic tables and parking. 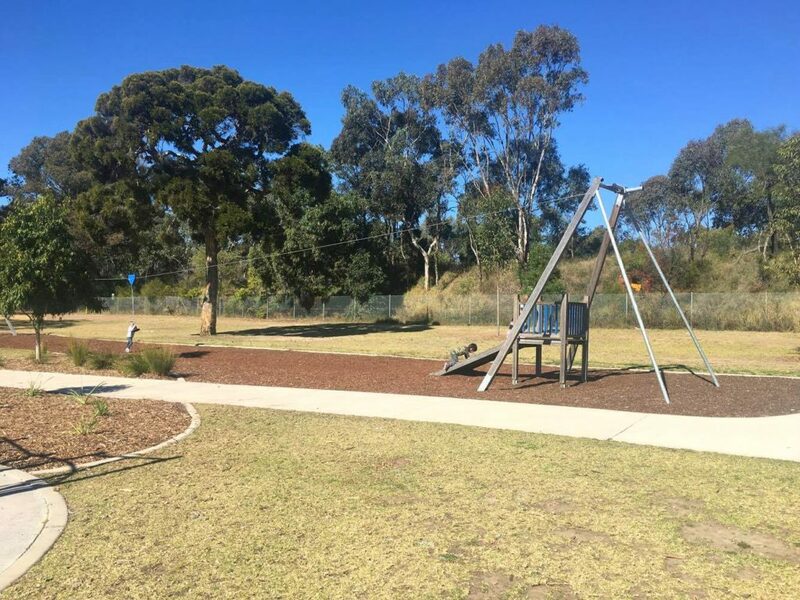 Have you visited Rotary Park in Riverwood yet?